Finding debt settlement leads online is tough but we broke it down for you. Do you work for or directly with a debt settlement company? Have you been dealing with direct-mail advertising or debt settlement lead providers who overpromise and underdeliver? Marqui Management has the solution to help grow your business with an effective marketing strategy that targets consumers who need help with their debt the most. Whether you want to increase your customer database or get live calls directed to your sales team, we offer unique solutions for your needs. Keep your phone lines warm. Your firm specializes in helping consumers by negotiating debt settlements, our firm specializes in finding more customers. Our debt settlement leads will not be delivered by fax or email. Instead, we work with PPC management campaigns and multiple integrated marketing channels to deliver live-phone calls from consumers who need your help. As a flexible marketing and consulting company, we take pride in our efforts. Stop worrying about callbacks, disconnected phones and dealing with other members of the household. 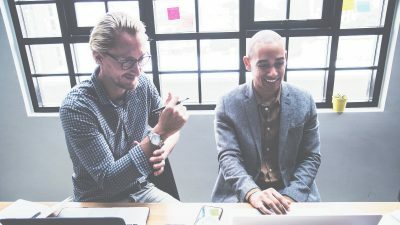 Many debt relief companies are falling behind, if not, going out of business because they cannot keep up with the increasing demands of technology. 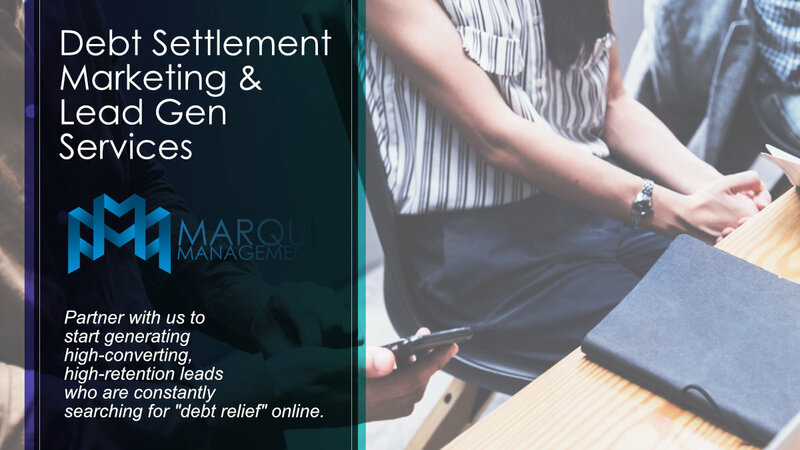 If you are open to the possibilities of lead generation and growing your debt settlement business, call Marqui Management today at 888-384-9424. With over 20 years of combined experience in sales, customer services, sales management, and direct response in the debt settlement industry, our lead generation for financial services companies is qualified to help you devise a debt settlement lead-generation program. Call debtors to action allowing them to become closable deals and lasting clients. Marqui Management maintains unparalleled control over messages and calls lists, and we can guarantee precision in reaching the target audience you want by filtering our campaigns. Whether your debt relief company wants an email list with names, addresses, phone number(s), and debt load or you want to serve geotargeted ads to specific consumers, all of our campaigns are compliant. No need to worry about getting leads directly from the Do Not Call List. We embed a quick and easy process for consumers to opt-out/ request removal. Our entire marketing plan for generating more debt settlement leads aims at growing and preserving your business. More leads won’t solve the problem if your company then receives more complaints. Before we jump right into how to get more leads for your debt settlement business, let’s briefly reveal the fifteen types of online debt settlement leads available. No matter your business goals or needs, we can deliver any and all types of debt settlement leads to help boost your business. See any lead types you were not aware of? Contact Marqui Management to discuss how to integrate certain, if not all lead types into your marketing plan. In hindsight, debt settlement leads are inexpensive to purchase. You can open Google and search for debt settlement lead providers and find dozens of companies ready to sell you leads that may or may not be worth the investment. Why pay little for something of little to no value? If you increase your campaign budget a little more, you will be paying for something a great value. 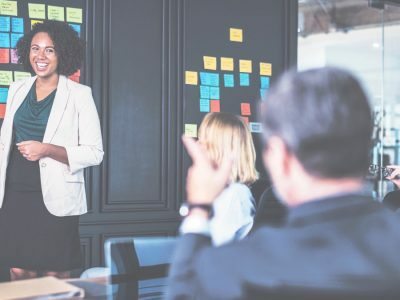 As our value proposition states, “create your market,” you won’t need to take someone else’s leads that possibly didn’t enroll in another company. When together, we can generate your own fresh leads. Keep that in mind while you continue reading about the top five ways you can generate or obtain higher-quality debt settlement leads for your business, starting today. 92% of online adults use search engines to find information on the web. From that statistic, we can tell that the first place just about everyone looking for a product or service will be online. Search engines, especially Google, have done a great job updating their algorithms to sift through trillions of links that match inbound queries and providing consumers with relevant results. Perhaps the best way to capture a considerable share of your local/ national debt settlement leads is through paid search, which displays ads for your company on top of relevant searches for key-terms like debt relief. We covered paid search, beyond that there is native advertising and other forms of digital advertising such as, but not limited to banners ads and social media post boosting. Both of which are highly-customizable and conversion friendly ways to find your target market and entice them to click-through to your website. Inbound marketing is one of the highest-converting means of generating leads. 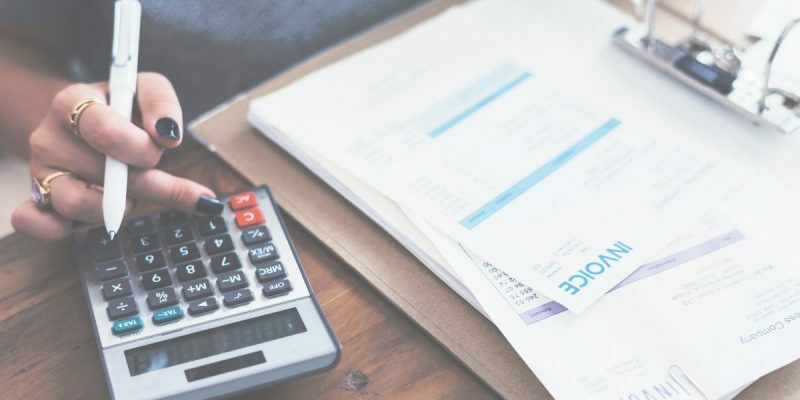 The production and dissemination of high-quality content that speaks and engages readers, covering their needs and interest is a strategy that not many debt settlement companies are taking advantage of. By now, your debt relief agency has at least an Internet presence and perhaps somewhat of a social media presence. Start leveraging your digital presence to broadcast your content. Links back to your website can capture more information from interested audience members through various call-to-actions like surveys, contact forms, polls, and more. Have you considered teaming up and forming verbal partnerships with a local legal aid nonprofit organization or attorney groups? Some attorneys offer pro bono (free) legal advice for people considering hardships such as bankruptcy. Debt settlement is a sweet alternative for someone considering bankruptcy. 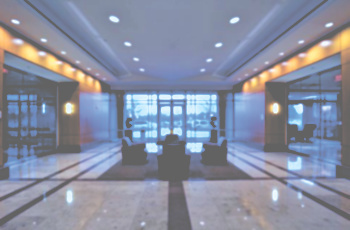 Have your team reach out to multiple legal firms in your area that specialize in Bankruptcy Law, offer to send them bankruptcy customers your direct-mailers found and possibly a referral incentive if they agree to refer consumers who do not qualify for bankruptcy. Finally, there is nothing intrinsically wrong with purchasing leads. Just do your best to ensure that the leads you are buying are from a tried and true source. There are many different types of lead generating services (some even utilize these top five debt settlement lead generating methods), each producing a variety of leads and both variable quality and quantities. In marketing, you typically get what you pay for. Why would leads be any different? 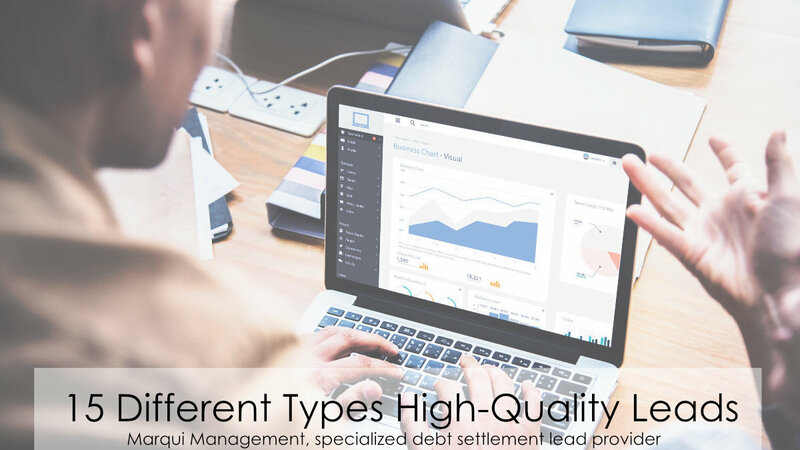 If you’re looking to purchase high-quality leads or generate your own debt settlement leads, contact Marqui Management today. Cold calling days are nearing their fateful end. Today, lead generation is about capturing consumer information throughout various inbound marketing efforts. 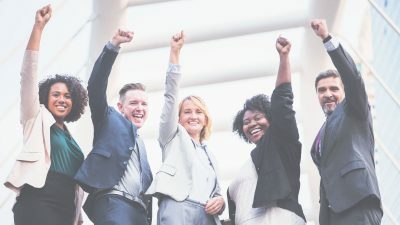 While direct mailers can continue to be essential (like manually passing out your business card) the five ways above will help you much in generating high-quality leads for your debt relief company, bringing your success for years to come. Although research suggests that SEO is the top source for capturing business leads, followed closely by email marketing and social media. The digital sales funnel for consumers is slightly different. To target consumers, get them enrolled in your debt relief program and keep them enrolled (prevent them from cancelling), your digital marketing strategy must harmoniously embrace a balance of all marketing channels. 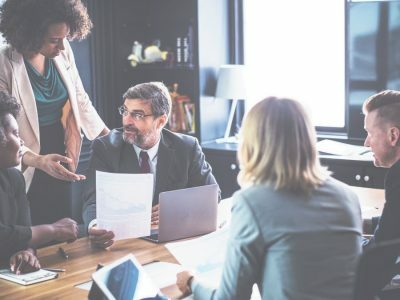 Let Marqui Management connect you with your target customers, allowing you to focus on what you do best – generate sales. As your creative eye, we build and optimize the best website for your debt settlement business. We can design and create a new landing page, blog layout, splash pages to run the ads through, develop a (client/employee/admin) back-office and more. Our web designs offer a strong call-to-action and simplistic design that is fitting for all ages and drives high-conversions. 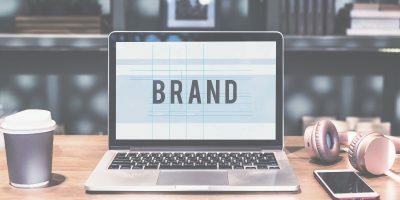 Social media is perhaps one of the best and more affordable ways to improve your brand recognition and take control of the conversation about your company online. Most companies find it challenging to keep up with social media trends, but it is a crucial mistake most debt settlement companies make by not having an active social media presence. Let us help! What’s one of the fastest ways to get information out to a lot of people? The answer is email marketing, of course! We create and manage your newsletters, contact lists, design beautiful email marketing campaigns, and keep your contacts and customers engaged. It’s time to start utilizing your database of tens-of-thousands of leads and increase customer loyalty. Design my email marketing campaigns. 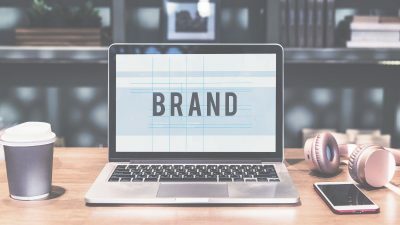 A good brand has a message, but a great brand can deliver that message in such a way that connects to their customers, inspiring loyalty, and confirming credibility. We create brands that stick. What does your debt settlement company want to say? How would you like to stand out from the rest of the industry? Let us work to get you consistent and get you recognized. Help design and build our company brand. In video marketing, there’s concept creation, designing, strategizing, scriptwriting, casting, planning shot angles, location scouting, and sound/video editing. Each of these video production aspects is key to creating a captive-viral video that will resonate with your audience and convey the essence of your brand’s values and message. Produce quality video marketing content. A marketing strategy for those online visitors looking for debt settlement but who did not take action and convert on your website. Sometimes, one visit isn’t enough. How can a recurring web presence help? 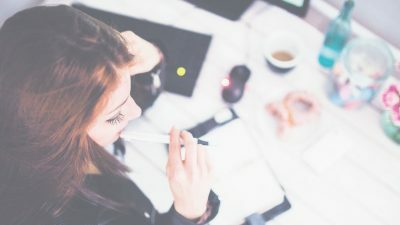 Remarketing is a chance to bring back indecisive customers with tailored ads and unique offers that relate to the experience they had on your company’s site. Let Marqui Management increase your reach. Implement a strategic remarketing campaign. Debt settlement SEO is one of the most overlooked aspects of digital marketing. SEO takes time, but it’s merely the gift that keeps on giving! 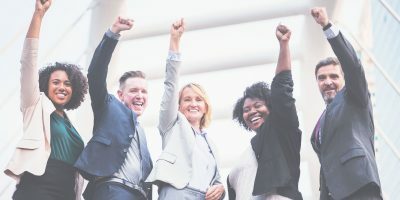 Whether you want to rank for “debt settlement connecticut” and grab leads organically or compete with the big players for keywords like “best debt settlement companies;” your online visibility and web presence are essential for being trusted by consumers. Rank our website higher in the search engines. Last but certainly not least, a service for those suffering from the debt settlement crisis of bad reviews and bad publicity. Has this affected your company, cancellation rates, or new enrollments? We’ve helped build powerful online reputation’s that highlight positive information while deleting, or diminishing negative reviews, links, articles, and more. Build/ Repair our company’s online reputation. On the bright side, it won’t take us twenty years, and it would take far longer than five minutes if at all, to undo our hard work. Our marketing strategy and services are designed for long-term stability and growth. If you are ready to start capturing new debt settlement leads today, give us a call at 888-384-9424, or visit our contact us page.